We are continuing with this great series. Now is the time to either learn how to use these great tools, sharpen your existing techniques and also learn how to use even more Deb Tucker’s marvelous tools. With Deb’s tools, you create basic quilting units a little oversized and then, with her tools, trim them down to perfection. For those of you that might have missed our earlier classes, we are featuring them in the morning sessions. In the afternoon, we will be introducing new tools. You will be receiving Deb’s Technique Sheets to enhance the basic functions of these tools to create some really interesting variations. The possibilities of creating your own unique units are endless with these incredible tools! These units are so much fun! Look at the sample units below for a sneak peak into what each ruler can do. 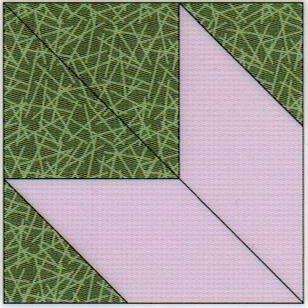 You will soon learn to recognize basic units in your favorite patterns and be able to “Tuckerize” those patterns so you can make the quilt blocks the easy way! If you have taken the classes so far, you will continue to build your skills. If you have not attended any of the classes to date, no worries. You can jump in and join the fun at any time. Class fee includes a technique sheet, design sheet, and a black line master that will take the basic unit up a notch for even more possibilities! It is a great idea to create a binder to keep all of your handouts in from the classes. Click here for supply list and here for pre-cutting instructions.